Listen to music, a podcast, or an audiobook while you walk. Take photographs or birdwatch on a nature hike. Meet new people at a yoga class or fitness center. Chat with a friend while stretching or walking. Play golf. Leave the Cart. Walk the Course. Walk or play with your pet - (no pet? Volunteer at a shelter or rescue). Find an exercise buddy, try activities you've never tried before. Still hate the idea? Change your perspective, sometimes a change of habit is necessary. Try the ideas below. Identify what it is you dislike. Is it the exertion, the sweating, the societal implications of fitness or body issues? Pay attention to your response, but also experiment, with the goal of developing a pleasant routine. Once you identify the part of the process you dislike, you can make adjustments to your routine. For example, if sweating is the issue; choose an exercise that is low impact where you are less likely to sweat, like swimming or ballroom dancing. Do you have 10 excuses ready when workout time comes along? Excuses are rationalizations we make to ourselves about people, events, and circumstances. They are invented reasons we create to defend our behavior, to postpone taking action or simply as a means of neglecting responsibility. Excuses are mainly a means of placing the blame of an internal problem on an external condition. The fact remains that more excuses you make, the harder it will be to motivate yourself. A way to combat this is trying making goals instead of excuses. People who exercise regularly report that they come to rely on it and crave more. You could possibly join that club—once you get started, but first you’ll need to find exercise that works well for you. Just because it’s fun and has a social element doesn't mean it can't "count" as exercise. There is no such thing a “real” exercise. A huge array of activities can make it possible for everyone to find a routine that they genuinely enjoy. Enjoyment will make it easier to turn activities into routine exercise. Whatever the activity, make sure it works for these three things: lifestyle, routine, and budget. Schedule it into your daily life as a non-negotiable, like brushing your hair or dressing, so that it’s harder to break from the routine than it is to stick to it. Make a strategic exercise plan and remember: Don’t start with something big. Instead start with what feels good. That’s the best recipe for success! Regular physical activity helps you look and feel younger and stay independent longer. It also lowers your risk for a variety of conditions, including Alzheimer’s and dementia, heart disease, diabetes, certain cancers, high blood pressure, and obesity. And the mood benefits of exercise can be just as great at 60 or 70 as they were at 20 or 30. Getting active is one of the healthiest decisions you can make as you age, but it’s important to do it safely. Starting or maintaining a regular exercise routine is a challenge at any age. You may not know where to begin, or perhaps you think you're too old or frail. These may seem like good reasons to take it easy as you age, however, they're even better reasons to get moving. Becoming more active can energize your mood, relieve stress, help you manage symptoms of illness and pain, and improve your overall sense of well-being. Staying active is what will keep us active in long run. Maintaining health, strength and flexibility is simpler than recovering them. Additionally, regular exercise can build strength and stamina, prevent loss of bone mass and improve balance. Benefiting from the rewards of exercise doesn’t have to involve strenuous workouts, it's about adding more movement and activity to your life, even in small ways. No matter your age or physical condition, it’s never too late to get your body moving, boost your health and outlook, and improve how you age. Getting active is one of the healthiest decisions you can make as you age, but it’s important to do it safely. Get medical clearance from your healthcare team before starting an exercise program, especially if you have a preexisting condition. Ask if there are any activities you should avoid. Additionally, do not add supplements to your diet without consulting your physician. Consider health concerns. Keep in mind how your ongoing health problems affect your workouts. For example, diabetics may need to adjust the timing of medication and meal plans when setting an exercise schedule. Cancer patients undergoing treatment might need to minimize or adjust their routine. Listen to the body. Exercise should never hurt or make you feel badly. Stop exercising immediately and call your doctor if you feel dizzy or short of breath, develop chest pain or pressure, break out in a cold sweat, or experience pain. And put your routine on hold if a joint is red, swollen, or tender to the touch —the best way to cope with injuries is to avoid them in the first place. If you regularly experience pain or discomfort after exercising, try exercising for less time but more frequently throughout the day. If pain continues, consult with your physician. Start slow and build up steadily. If you haven’t been active in a while or are undergoing cancer treatment, build up your exercise program little by little. Try spacing workouts in ten-minute increments twice a day. Or try just one class each week. If you’re concerned about falling or have an ongoing heart problem, start with easy chair exercises to slowly increase your fitness and confidence. Do Not Over Train. Prevent injury and discomfort by warming up, cooling down, and keeping water handy. Excessive exercise or heavy training at every session or a lack of rest days will limit your fitness gains and could damage the body. Over the course of your cancer journey, it’s important to pay close attention to your overall health. You may have to modify your daily habits. Many people living with cancer may experience nutritional difficulties during their cancer treatment. That’s why it’s important to consider working with a registered dietitian to help with specific nutritional needs. There are experts who can offer you nutrition advice. Registered dietitians are food and nutrition experts who have studied how diet and dietary supplements affect your health. Some even have additional training in oncology nutrition. A registered dietitian who has a “CSO” after his or her name is a certified specialist in oncology nutrition. Provide personally tailored advice to help manage the unique nutritional aspects of chronic disease, plan food and nutrition programs and promote healthful eating habits. They usually work in Food Services or as part of medical teams in hospitals, clinics, other healthcare facilities. They may work in university settings, where they may teach, do research, or focus on public health issues. During an appointment with a registered dietitian, s/he will: Try to uncover any nutrition-related issues and ask about your diet history, medical history, medications, allergies, and nutrition-related symptoms. Questions about your height, weight, and other things that may impact your ability to eat and absorb nutrients will also be asked. Then a meal plan is designed which includes nutrition recommendations specific to your needs. A registered dietitian should encourage you to keep a diary of your symptoms and of the foods that you eat. If you choose to take control of your own health and wellness plan, here are a few health management strategies to follow. Mixing different types of physical activity helps both to keep your workouts interesting and improve your overall health. The key is to find activities that you enjoy—based on the four building blocks of fitness. These are: balance, cardio, strength & power training, flexibility. Balance maintains standing and stability, whether you’re stationary or moving around. Yoga, Tai Chi, and posture exercises will aid in having confidence with balance. Cardio get your heart pumping. Helps lessen fatigue and shortness of breath. Promotes independence by improving endurance. Includes walking, stair climbing, swimming, hiking, cycling, rowing, tennis, and dancing. Strength & Power Training repetitive motion using weight or external resistance from body weight, machines, free weights, or elastic bands. Strength training helps prevent loss of bone mass, builds muscle, and improves balance—both important in staying active and avoiding falls. Power training can improve your speed. Building strength and power will help you stay independent and make day-to-day activities easier such as opening a jar, getting in and out of a car, and lifting objects. Flexibility helps your body stay limber and increases your range of movement for ordinary physical activities. This can be done through stationary stretches and stretches that involve movement to keep your muscles and joints supple and less prone to injury. Yoga is an excellent means of improving flexibility, as well as water aerobics/sports, walking and Qi Gong. Instead of zoning out when you exercise, try to focus on how your body feels as you move — the rhythm of your breathing, the way your feet strike the ground, your muscles flexing. You’ll improve your physical condition faster, better help to relieve stress and anxiety, and more likely to avoid accidents or injuries. Follow a regular schedule for at least 3 or 4 weeks so that it becomes habit. This is much easier if you find activities you enjoy. Recovery after exercise is essential to muscle and tissue repair and strength building. This is even more critical because aging and cancer treatments change the body. Keep this in mind when building your exercise plan, pace out your sessions well. Don’t feel guilty about taking time out to recover. Limited research reports suggest that with increasing age muscles tend to recover more slowly after a bout of exercise, whether it is strength or endurance training. Therefore, rest and hydration are essential after exercise, especially as aging sets in. Here are some tips on how you can aid the body in recovery. Eat healthily both before & after exercise. Consume 30-40 grams of high-quality protein after exercise. Drink a glass of milk or eat a handful of nuts after exercise. Give muscles a day off to recover between workouts. Get serious about pre-workout nutrition. The most important thing for your cancer treatment and exercise recovery is to listen to the body. If you are feeling tired, sore or notice decreased performance you may need more recovery time or a break from exercise altogether. Pay attention, in most cases, the body will communicate what it needs, when it needs it. Listen and be kind to the body, and the body will be kind to you. Cancer can certainly make it difficult to feel engaged or connected to the moment. For patients who have been diagnosed with advanced cancer or facing end-of-life issues, their mind can be so full of worry and stress that they struggle to be present and aware of the time they have right now. Fortunately, there have been many advances and patients are finding alternative ways to cope with both the physical and emotional challenges that come with this disease. Recently, more people have recognized mindfulness and mindfulness training as a way to decrease stress and increase psychological functioning with cancer patients. A study in 2011 found that most participants expressed a number of positive effects after participating in the mindfulness program. These including increased calm, enhanced sleep quality, more energy, less physical pain, and increased well-being. These findings show that through mindfulness, you may be able to enhance your capacity to handle the life stresses that affect the body’s ability to heal. Mindfulness is described as a practice that is about living life as if it matters, to pay attention with kindness and respect to moment-to-moment experiences, no matter how seemingly mundane. Mindfulness can help us to experience life with greater clarity, balance, and gratitude, one moment at a time. One of the many benefits of practicing mindfulness is that it can promote healing, both physically and emotionally/psychologically. By helping to regulate emotions and allowing a patient to work with the physical pain in the body, mindfulness has helped bring a sense of peace to many people living with cancer. Here are some tips on how you can practice mindfulness and the benefits therein. Make Gratitude A Part of Your Routine. Take 10 Minutes to Do Nothing. Meditation is a means of transforming the mind and is described as the written, spoken, or internal dialogue expressing considered thoughts on a subject. It can be done anywhere, for any amount of time, without special equipment or clothing and minimal training. Meditation practices are techniques that encourage and develop concentration, clarity, emotional positivity, and a calm seeing of the true nature of things. By engaging with meditation, you can learn the patterns and habits of your mind, and the practice offers a means to cultivate new, more positive ways of being. Many doctors encourage patients to incorporate this ancient practice into their lives to promote well-being, positive outlooks and even faster recoveries. 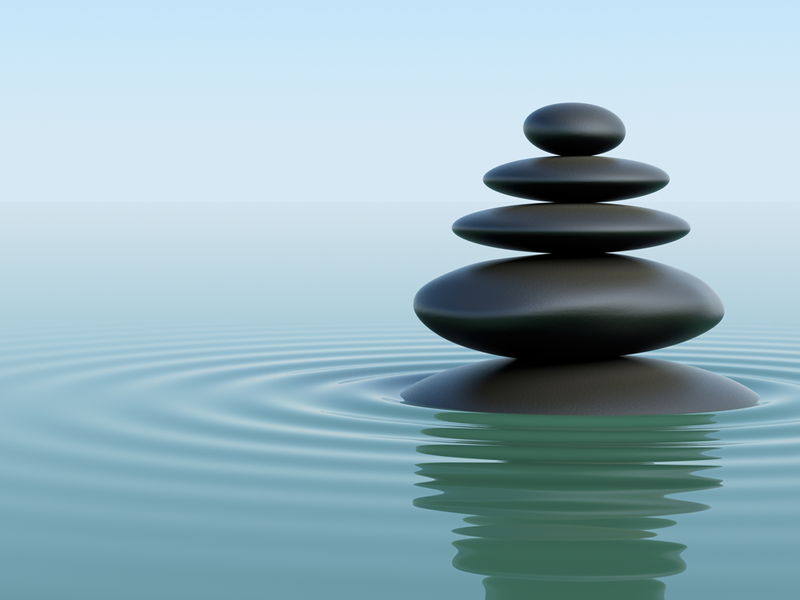 Research has shown that eight weeks of mindfulness meditation may elevate serum serotonin levels – a compound in the brain that can affect mood and social behavior, appetite and digestion, sleep, memory and sexual desire and function – resulting in a significant decrease in depression, anxiety and stress as well as decreased acute or chronic pain. With regular work and patience these nourishing experiences can have a transformative effect and can lead to a new understanding of life. In 2014, a breakthrough Canadian study conducted by researchers at the University of Calgary, (Alberta) and Alberta Health services concluded that meditation may be a powerful complement to treatment plans aimed at altering the cellular activity of cancer survivors. The study, which was published in the journal Cancer, was one of the first to suggest scientifically, that a mind-body connection does exist. Here are some tips on how you can practice meditation and the benefits therein. Find Your Space. Set up a meditation space. Find Time. Choose a time when your mind is calm. Detach yourself from every-day worries. It’s easy to become discouraged when illness, injury, or changes in the weather interrupt routine. The good news is that starting an effective exercise routine isn’t as unpleasant or difficult as it seems. Start by making the first few steps small, which will stimulate more action and build towards more. That's motivation. Motivation is a mental muscle that works a lot like your other muscles — the more you use it, the stronger it gets. Keep a journal or log. Get support from friends & family. Try to exercise, even when your regular routine is disrupted. Even in the best circumstances, it can be difficult to get motivated to exercise, but it’s much more difficult when feelings of fatigue set in. Research has shown that physical activity is very important, especially with cancer. It can improve patient function physically as well as their quality of life. Always remember, too much rest can lead to loss of body function, muscle weakness, and reduced range of motion. So today, many cancer care teams are urging their patients to be as physically active as possible during cancer treatment. Many patients and caregivers are learning about the advantages of being physically active after treatment, too.